April 2, 2018 York, PA – Analytical Design Solutions Inc. (ADSI) has released a new version of the KioWare for Android kiosk system software product. A completely new app, the KioCall Android App has also been released. KioWare kiosk software products lock down your device into kiosk mode, which secures the overall operating system, home screen, and usage of applications. KioCall video conferencing allows for video conferencing calls to and from kiosks running KioWare kiosk system software. 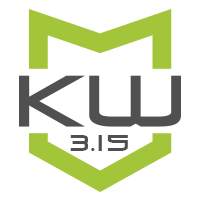 Version 3.15 of KioWare for Android (Lite, Basic, & Full with Kiosk Management) has added a number of new features and UI improvements including password protection options for the configuration tool, an updated Android SDK (Version 26), ability to add superuser permissions when provisioning, and more. Using the KioCall Video Conferencing app (from KioWare), KioWare for Android can now accept incoming calls while in Attract mode. Additionally, the KioCall videoconferencing app, previously available only for use on Windows devices, is now available as an Android app for use on Android devices such as phones and tablets. Support for battery management via the ArmorActive Optica Pro LED™ Enclosure (click here to learn more). This enables an optimized charging algorithm to extend battery life. Requires use of the KioWare Device Support App available in the Google Play Store. New password protection secures the KioWare Config tool. When this feature is utilized, users can modify the configuration tool only with appropriate permissions. Kiosk running KioWare for Android can now accept KioCall calls during attract mode. The Android SDK has been updated to Version 26 which includes user-requested permissions in compliance with Google Play Store. Support has been added for WPA2 Enterprise WiFi networks. Substitution variables now allowed for the KioWare UserData folder. A new file chooser has been added to select the settings XML file on the provisioning screen. Device administrators can now specify a currency when using CardEase devices. View a full description of features added for this and other versions of the KioWare product line. All of these products are available as a free trial with nag screen. Existing clients with current support have the ability to upgrade here.